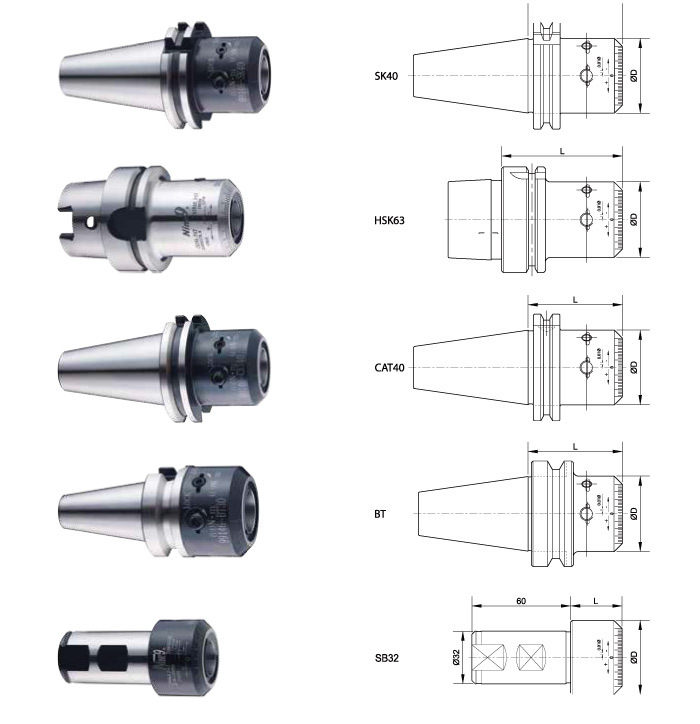 ● 99146 BT30 / BT40 / BT50 / SK40 / HSK63A / CAT4 0/ SL32 boring head shank to fit your machine spindle. ● Boring bar size of Ø5mm~Ø50mm all are interchangeable to fit into same boring head shank. ● Adjustment range is +0.12/-0.13mm. ● Simple boring tool has minimal components. The cost of this product is low compared to other micro adjustment boring head. ● Change the boring bar in just one minute. ● G6.3 10000 r.p.m. pre-balanced. Balance grade : G6.3 10000 r.p.m. Internal coolant can be ordered from Dia. 10mm. Internal coolant can be ordered.